Labor leader tells King Abdullah II he is committed to a two-state solution. Jordan’s King Abdullah II on Monday met with Labor party chairman Avi Gabbay in Amman and discussed developments in the Israeli-Palestinian Arab peace process. According to Haaretz, Gabbay expressed his commitment to a two-state solution and his belief that such a plan is "the best way to bring peace and long-term security to Israel." He also told the Jordanian king he is grateful for the peace between Israel and Jordan and thanked the king for his "continued efforts to promote stability in the region." King Abdullah, according to the Jordan Times, stressed the need to revive the Israel-Palestinian Authority (PA) peace process, based on the two-state solution, and in accordance with international law and relevant UN resolutions, as well as the Arab Peace Initiative, leading to the establishment of an independent Palestinian state with eastern Jerusalem as its capital, living side by side with Israel, in peace and security. Saudi Arabian Foreign Minister Adel al-Jubeir said in 2016 the initiative is the best solution for the conflict, and rejected Prime Minister Binyamin Netanyahu's demand that the initiative be updated. 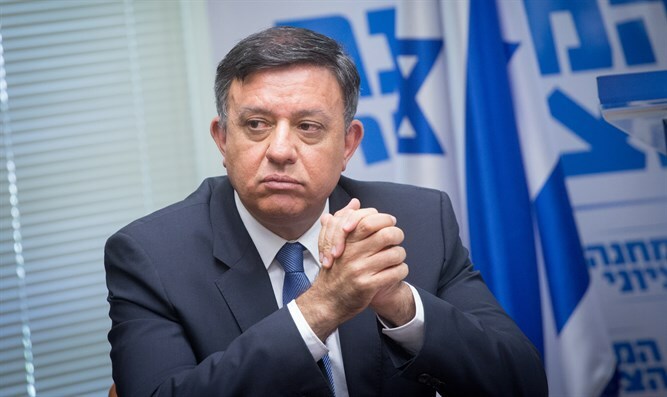 Gabbay, elected last year as chairman of the Labor party, has thus far failed to gain in the polls. Since July, the Zionist Union – which is a union between Labor and Tzipi Livni’s Hatnua party – has averaged just 12 seats, half of the 24 it won in 2015. The latest Knesset poll shows the party winning just 11 seats. A recent report indicated that Labor party members have accused Gabbay of stifling dissent, with some even arguing that Gabbay has intentionally weakened Labor in an effort to dominate a smaller faction after the next election cycle, and bring the party into Netanyahu’s next coalition. According to the report, when veteran Labor MKs urged Gabbay to change his leadership style, warning that he was harming the party’s electoral prospects and his own political career, Gabbay reportedly lashed out. “Make no mistake – I think you don’t understand – if I go down, I’m taking all of you with me,” he allegedly said.